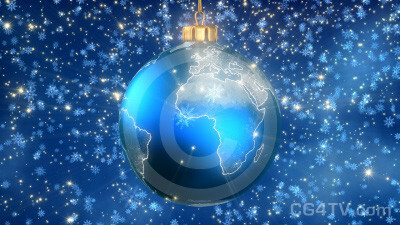 Animated Christmas Tree Ball - Globe Single is perfect creative 3D animation for corporate greetings. EXCLUSIVE product. Animated Christmas Tree Ball is only available from CG4TV.com. We don't have resellers or representatives. This product that can not be purchased elsewhere. is only available from CG4TV.com. We don't have resellers or representatives. This product that can not be purchased elsewhere. The Holidays are coming! Think of the ways you can use our Creative Animated Christmas Ball. Christmas Ball is one of the spread Christmas decorations that are used to festoon a Christmas tree. Call forth the spirit of the season. 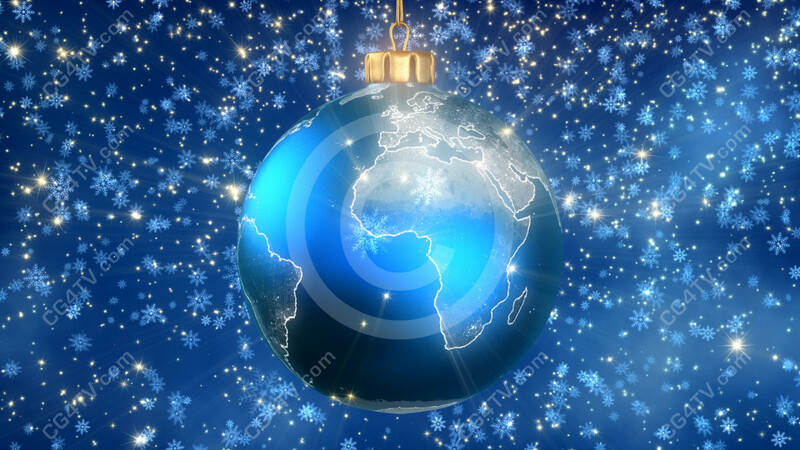 Evoke the joy of Christmas with this Animated Christmas Tree Ball - Globe - Earth with slowly falling showflakes. Send the warmest Christmas greetings. Our charming animation inspires the best memories in all of us in a premium quality, high definition animation. Let your imagination be your guide in how you use our high definition Animated Christmas Globe Ball. Why spend money and time developing a custom animation? Royalty free use of this low cost Animated Christmas Tree Ball will be easy on your wallet and on your busy schedule. It’s the most exciting Animated Christmas Ball you’ll find. And don’t forget, all our animations are available in a variety of sizes and resolutions to meet your needs. Why wait? Get our Animated Christmas Tree Ball now. It’s easy. Just a few simple clicks of your mouse and you’re ready to go. Download of your Animated Christmas Bauble will be immediate. All major credit cards are accepted.